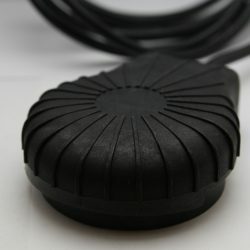 Presair’s hard foot pedal contains an internal bellow protected by a hard shell which, when pressed, sends a pulse of air through a tube to an air switch. 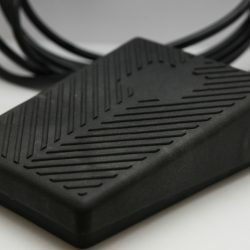 Our hard foot pedals are best for industrial heavy duty applications where a the amount of force and use is high. The hard shell protects the internal bellow providing a long life and reliable foot pedal. Choose between the clam shape foot pedal or rectangular style and the length of tubing preferred to purchase online. For more information, contact us.